Today my blog turns 2 years! It seams just yesterday I wrote my 1 years post, time flies when you’r up to something fun, as we say here in Sweden. And as always much has happened, both on the blog and in my personal life. Got an promotion at work (still as a temp, but hopefully not for much longer), in which I’ve learnt to plan big parties, host huge festivals, juggle a budget and a lot more. I’ve Moved to a bigger apartment together my boyfriend (ok, not exactly within this year but anyway), with who I’m soon to celebrate 10 years! Seen my very first (and probably last) movie, in which I worked as costume designer, premiere. And got a little nice to adore an dot on. I’ve learnt how to make baby clothes. Started buying and using period correct patterns, and are now totally hooked on the fast and easy way to sew. 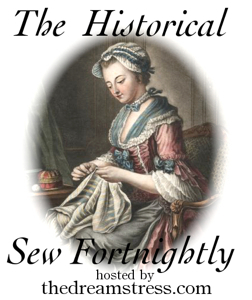 I’ve begun teaching a sewing class focusing on historical clothing. I’ve started attend Historical gathering on my own – without a supportive friend to hold my hand. 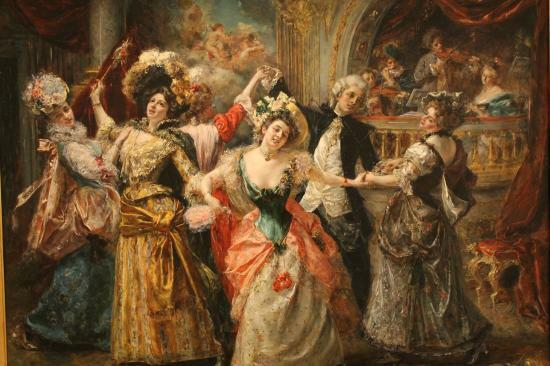 Planed and are soon to host my very first Historical event. And of course developed a lot as a seamstress and hobbyist costumer. And of course the year have also brought some though times (which you get a glimpse of in my last post – “The myth of perfection”), but over all it’s been great. My blog and facebook statistic and followers are constantly growing, and I want to thank you all who take your time to read and comment on my posts and pics. Without you, this blog would not exist. As for today I also celebrate 250 blogg followers, and 160 facebook followers. Yay! So, in celebration of all my lovely followers and my two years of blogging I wanted to do a little lottery. I had one about a year ago, when I reached 100 followers, and this one will be similar. * What topic/theme would you like me to post about more (or to browse for the first time)? Please also write your name (or nickname) so I can announce you if you win. You got 7 days to do so, then on the evening of May 19 (Swedish time) I will draw one name at random from a bowl and announce the winner here on the blog and facebook. 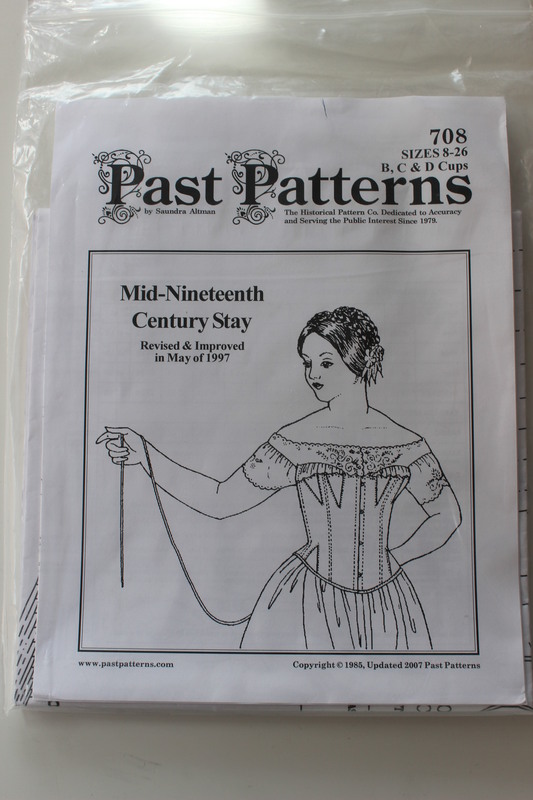 Past Patterns nr 708 – mid 19th century stays (1840-1870s) The pattern is brand new and multi-sized and will hopefully fit almost everyone (with the mandatory changes of the mock-up of course). I have still to make a corset from this pattern, but what I’ve seen from others making it, it seems pretty straight forward once you mastered the gussets. Congratulations on blogging for two years! Congratulations on 2 years and the large following you have! My favourite types of posts are those that show from inspiration through to completion, a bit like what you did on the Lady Mary dress. For the future, I’d love to see more of that sort of thing. I’m Rachelle, but usually Sewsable on line. What I like the most about this blog is the dress diary posts. I love when you show all the steps on the way to a completed garment. In the future I would love to continue reading about that, but maybe also some on how you pick the fabrics that you use, which fabrics are most suited for certain projects. Congrats! Also, when I first read through I thought you said you saw your first movie (not your first movie premiere) and was shocked haha. Yay 2 years! I’ve only been following for a few months but love reading back! To answer the questions 1) I love the dress diary posts because I also sew but more historically inspired rather than replications. I love to see the inspiration and your interpretation. 2) I love posts on period techniques, whether stitches or fitting or just general period ways of doing things. I’ve really enjoyed your blog; I think my favorite posts are the photoshoot posts, and also hearing about your process. I loved reading the myth of perfection post…I almost cannot go to an event without a breakdown in my clothing of some kind…. I would love to hear more on some of the research you put in ahead of time, and where you get some of the ideas as you plan what to do next. i love to sew and i do sew so i love to watch the details on your blog. I agree with some of the other commenters. I love seeing the entire process of making a garment, from inspiration to final photoshoot. I also love your posts about the Swedish National costume. It is nice to be able to learn about Sweden and it’s traditional costume through your blog. I love your blog and always look forward to what you are going to do next. Good luck on your next two years! Alltså tycker ju om allt du skriver om haha! Men gillar speciellt inläggen där du visar processen grundligt, från inspirationsbilder till färdig grej! Gärna flera inlägg om samma plagg som du gjorde på Maryklänningen. 🙂 Sen är det kul att få tjuvkika lite i nya böcker du köpt, och självklart photoshoots på dom färdiga kläderna! Hmm.. skulle vara kul att se fler bilder på äldre saker du sytt i kombination med nya! Supert å se hvordan du gjør ting, arbeidets gang. Syr litt selv, men har masse å lære. I found it wonderful t read all your encouragement and well wishes. I also learnt a great deal of what you all like to read about on the blog, and got some great tips for the future. I’m blessed to have such nice and loving readers.